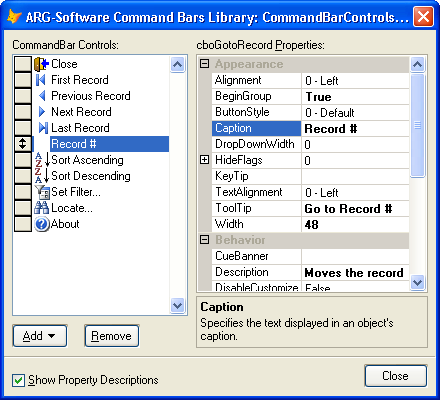 ARG-Software's Command Bars Library provides Visual FoxPro developers with a sophisticated Office style Command Bars and Office Fluent UI (Ribbon). Command Bars Library comes with built-in theme support that will allow you to choose from predefined themes such as Office 2000, Office XP, Office 2003, Office 2007, Office 2010, or Visual Studio. 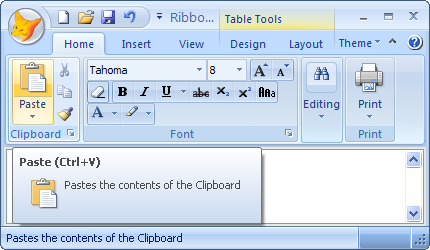 Command Bars Library gives your Visual FoxPro application toolbars and menus a professional modern appearance similar to many popular Microsoft® products. All Builders use the Property Browser that exposes only those properties that really affect appearance and behavior of a control. 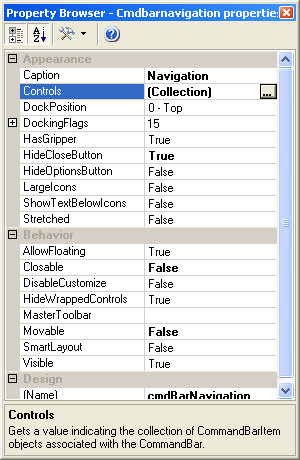 The Property Browser works exactly like Visual Studio property browser does. reset properties to default values. Copyright © 2004-2019 Alex R. Grigorjev, ARG-Software Design Lab., All Rights Reserved.